Miss Angola Leila Lopes a 25 year old candidate wins the 2011 Miss Universe. The peageant celebrated for 60th anniversary in Sao Paolo Brazil September 12, 2011. While Miss Ukraine Olesya Stefanko won for the first runner up, second runner up for Miss Brazil Priscila Machado. Philippines Miss Shamcey Supsup wons for the third runner-up. Philippine Ms.Universe candidate Miss Shamcey Supsup got the highest average score of 9,95 of the preliminaries competition. This was about the best of evening gown in Sao Paulo at Credicard Hall last September 8,2011 philippine date, september 9 in Brazil. A points base from stage presence, elegance, gown choice and beauty. Each of the 89 candidates for the Miss Universe have score, and There are Top 16 List. Important to know first if what cholesterol is. A Cholesterol, this is a like wax substance produced form a liver result from a certain foods. A normal level produced 1,000 of miligrams everday. Cholesterol needs for the liver in order to make Vitamin D, help to develop membranes of the cell and other hormones. Cholesterol alone cannot travel in the bloodsteam, this must need a protiens to combine. Protiens are the one pick up those cholesterols in order to transport different parts of the body and become now lipoprotein. A lipoprotein have two types. First a HDL or high-density which is the good cholesterol and LDL or low density the bad cholesterol. LDL is a cholesterol that transports from the liver to tissues, but unfortunately, it only build up walls in arteries, narrowing arteries that leads some health problems like heart disease. One reason if there are too much cholesterol in the body a result from not limiting eating foods that have signifant amount of LDL. This will gave a good benefits for health in the body. This is high in protein and low in cholesterol, so it suitable for the exact body needs. It also carry enzymes of antioxidants. increase cholesterol buildup. Exercise could help the liver to produce more HDL in order to reduce LDL, natural food supplement can be helpful and has no side effects. Make walnuts and almonds as a snacks because it has properties for lowering level of b-cholesterol. Just change the lifestyle of eating more LDL. 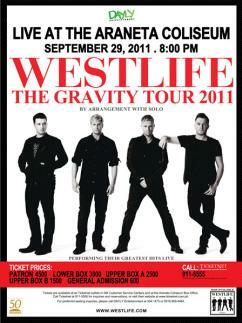 Westlife live in Manila this coming Thursday 8pm September 29, 2011 will be held at the Araneta Coliseum, Cubao, Quezon City. On November 11, 2011 will be the released of their Greatest Hits. 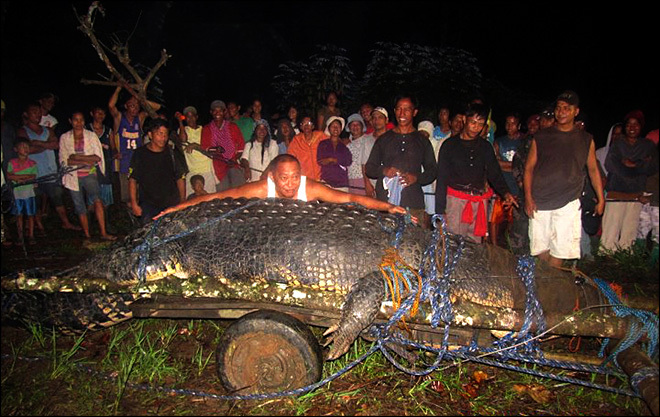 The giant salt water male crocodile believed as one of the largest in the world was captured in the philippines from along a creek of Bunawan township Agusan Del Sur last Sunday Morning. It has 6.4 meter long and 1075 kilograms. More than three weeks until they captured the crocodile by the residents and the farm staff. 100 people help to pull the crocodile to the land, both Villagers and Hunters planed for the ecotourism park in Southern Town. Elorde said the crocodile killed a water buffalo in an attack witnessed by villagers last month and was also supected of having attacked a fisherman who went missing in July. We were nervous but it’s our duty to deal with a threat to the villagers”, Elorde told the Associated Press by telephone. “When I finally stood before it, I couldn’t believe my eyes”. “It will be the biggest star of the park”, Elorde Cox Elorde said. Adding that villagers were happy that they would be able to turn the dangerous crocodile, from a threat into an asset. The crocodile are already placed in a fenced cage in a place of town planning to build the ecotourism park for species found in a vast marshland Agusan. Miss Universe 2011 Preliminary Competition is on September 8,2011 final scheduled on the 12th at the Credicard Hall Sao Paulo in Brazil. There are 89 list for Miss Universe candidates.Shamcey Supsup, a 25 year old one of the Philippine representative from General Santos.